1) Increasing fruit and vegetable consumption (leafy greens in particular) helps prevent heart disease. 2) Green vegetables contain compounds that support our immune system. 3) Greater leafy green consumption has been associated with lower rates of type 2 diabetes. 4) Spinach can help stabilize blood sugar levels. 5) Kale provides greater calcium absorption than milk. 6) Fruit and vegetable consumption decreases the risk of cancers of the stomach, esophagus, lung, oral cavity and pharynx, endometrium, pancreas, and colon. For more delicious smoothies packed with antioxidants check out this post. This is one of my favorite posts to read today. I love green smoothies. As much bad stuff as I put in my body smoothies always just taste so good and make me feel better knowing that I’m at least cleaning out the toxins from drinking them. Sounds very healthy! I learned something new today that spinach is an anti- inflammatory which is great as I love it! I love the fact that you broke down in detail the PCOS’s…quite helpful and informative information. I like how you have noted all the pcso powers! I had no idea the benefits you could get from all of these things. Sure has opened my eyes! My hubbie swears by juice drinks. He says they’re like medicine and is trying to get me to start too. Might try your spinach smoothy recipe. I’d give this a taste! It looks pretty good. This looks so yummy! I’m a big fan of ginger, so I’ll definitely have to try. have always been obsessed with coloured (fruits) smoothies, but i think i kinda like this for it been more organic and healthier. Looks healthy and delicious! Furthermore, all of your photos are amazing. Really makes me want to run off and make one ASAP. I love smoothies…. this is sure to be an addition and I love your photos. Looks so yum and refreshing. I would love to drink this delicious smoothies. Very refreshing and healthy recipe. I have never been into green smoothies but you might be changing my mind! Seriously don’t understand why EVERYONE doesn’t love them! They just feel like health in a cup and like you are doing something so good for yourself! I love green healthy smoothie. Looks so refreshing and yummy.. I will try that recipe.. Thanks for sharing. I definitely need to add some greens to my diet. I think a smoothie is the best way to go for me. I think I can get a drink down better than eating veggies. Thanks for sharing the recipe. As a kid, I never thought I would love spinach as much as I do now. Green smoothies are the best, in my opinion! Usually don’t like green smoothies too much but after incorporating bananas or mangos into it, it doesn’t taste that bad. Your recipe sounds delicious! Yes to this! I love adding some green to my smoothies. 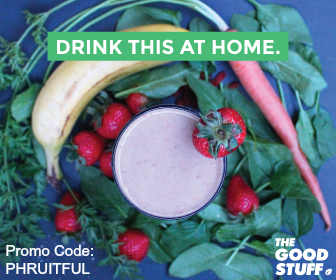 You are so right about all of the healthy benefits green smoothies offer. I like using Kale or Spinach with my smoothies. Sounds so interesting for me and I’m sure this would be perfect for my healthy life style. The benefits sound amazing! Do you have any tips on making these easier to drink? Anything you can add that won’t take away from the value of it but will make it a bit more tasty? I’m a huge fan of smoothies for all the reasons you mention. I especially love to make them up post workout. This looks like a superb mix, will have to try it out! What a rich color of green! I bet the ginger is the perfect compliment to the spinach. I’d try this one! I always go through phases where I am obsessed with green juices and then I stop. i need to get back on the green juice train. I love juicing and smoothies. The best investment i ever made was buying a juicer. Green smoothies are the best! I´m always looking for new recipes, so thank you i will try this out! I love how you include the health benefits of the ingredients, motivates me even more to walk over to my juicer now and make on. I’ve recently started experimenting with making green smoothies a staple in my diet. I’ll have to keep this recipe in mind. I love everything about this post. Now, to just make one and drink it already. I love healthy green smoothies too. I try to take one to work with me every day for lunch, in a LARGE mason jar. It’s filling, delicious, and on the Weight Watchers “Points” plan, it has ZERO points which leaves me extra points to spend on dinner or dessert! I say a GIANT YES to green smoothies! An AWESOME way to kick off your morning or get an energy boost in the afternoon! This one sounds great! I love that you added spinach & ginger. I love fresh fruit and vegetable smoothies and make them whenever I need an energy boost. Delicious! 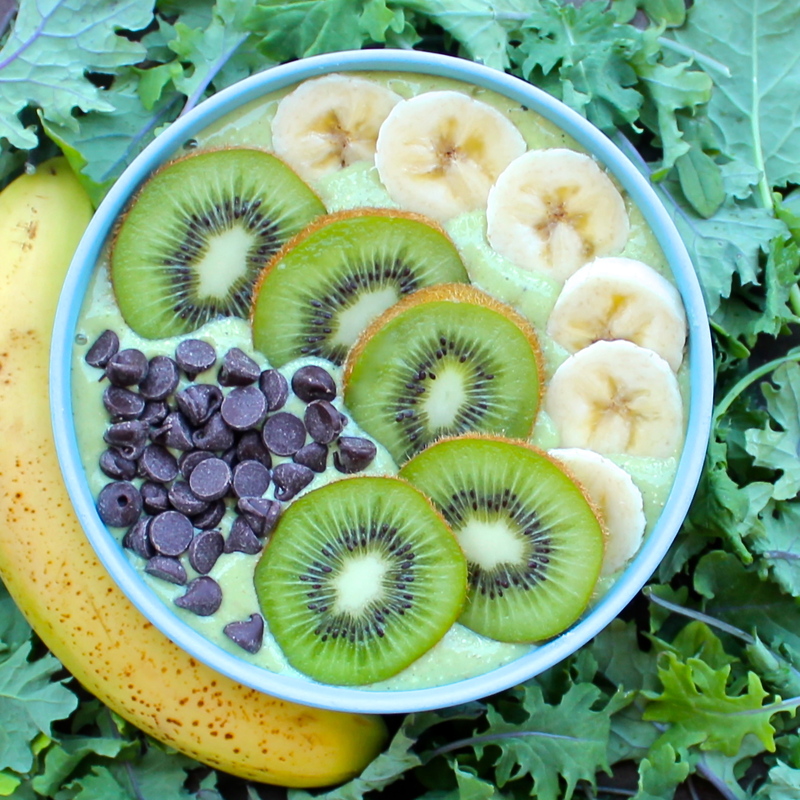 I haven’t tried green smoothie before but this looks yummy! Just pinned it to share with other green smoothie lovers. I’ve been so afraid of trying a green smoothie, despite my love of smoothies. I’ll have to finally try one. Great! I will keep this recipe as I will be starting my health campaign soon. Thank you for sharing this. I love green smoothies. I’ve heard that ginger has so many benefits. I need to try this one. Thanks for sharing. This looks great and so healthy too! I drink a smoothie everyday and 95% of the time they’re green. I’m not a huge fan of ginger but this sounds nice. It’s nice to see the break down of just how the ingredients are good for you. I like green smoothies too. Oh my goodness! I need this rn, I’m obsessed with smoothies. This looks delicious! 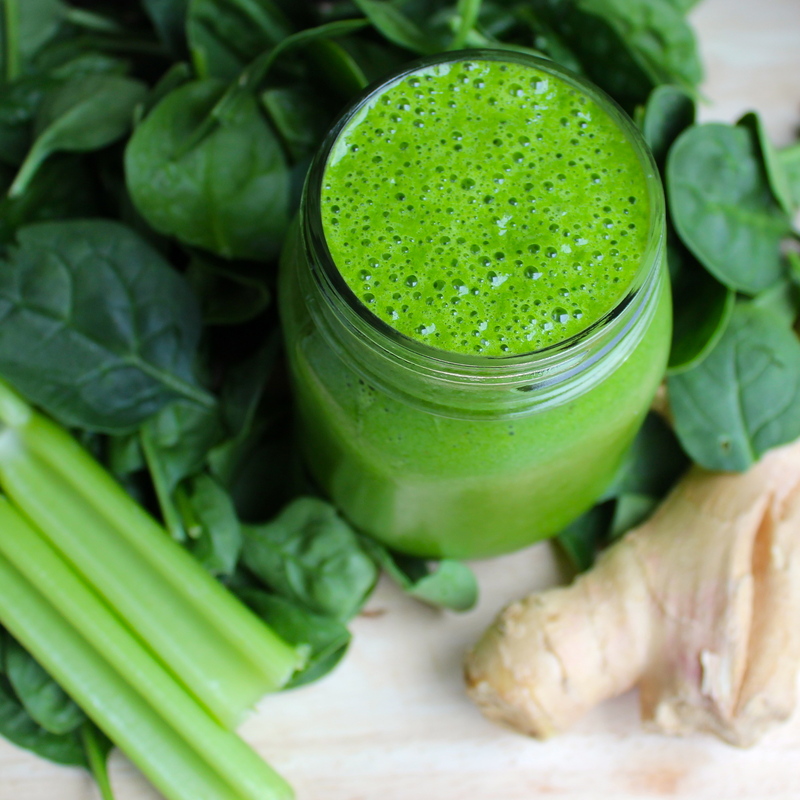 I’ve made green smoothies before but never with ginger, so I’ll have to try that! Oh my! This is so healthy! I’m gunna have to try this! My daughter LOVES veggies, so this would be a huge hit! Love green smoothies!! So yummy and nutritious – I’ll often take them to the library on long study sessions. Will definitely be giving this one a go next! My body is saying please put down the cheese and chocolate and drink this! It’s been a whirlwind of food this holiday and Monday I promise I’m back on track! I’ve bookmarked this for my return to work next week! I am always looking for new smoothie recipes to try. I have often wondered about a green goddess smoothie and how it was made. Thanks for letting me know! Wow thats a green smoothie-! I cant beleive how simpe it is aswell. Such an easy way to add greens to your everyday diet! This sounds wonderful except I would minus the ginger for myself personal choice. I’ve tried many times in smoothies and juicing to use ginger but I just can’t get past the taste even though I know it’s so good for you. i love the benefits of green smoothies but i do always find it hard to add ingredients to make the taste bearable! Yum!! Have been looking for a good greens smoothie for ages! Seriously cannot wait to try this one now. Mmmm I love green smoothies. Glad to see this one is vegan! I will make it when I get home from our travels! This looks diving and im sure its tasty. Id probably throw that green apple in as an added taste boost. Will try this surely!